This cozy one bedroom apartment is located in the Albaicin, one of the most picturesque neighborhoods of Granada. The building where is located was completely renovated and has a beautiful central courtyard. The apartment is really bright and because of its location, very quiet. The living room has a sitting area that consists of a comfortable sofa convertible to double sofa bed. The kitchen and the dining area are adjacent to this room being of open space. It’s modern and functional as it has all kinds of utensils and appliances which may be required. The bedroom consists of a double bed where you’ll be able to relax like if you were in your own home, including an en suite bathroom with shower. From the living room and bedroom there’s an access to a small terrace with garden table and chairs, ideal for relaxing at any time of day. 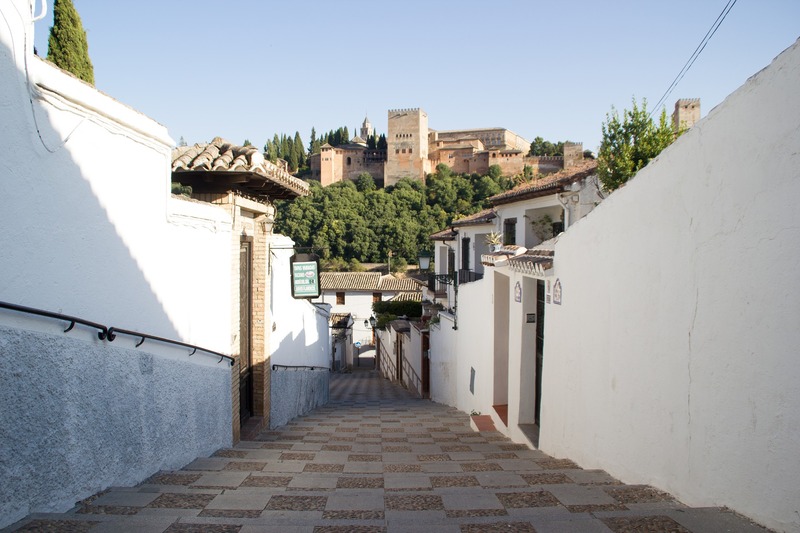 The Albaicin is an area known for its beauty and history. The Alminar II apartment has a privileged location since, despite being located in this district, has an easy access by foot to the centre itself of the city so you can go both to the Alhambra and the Cathedral walking and enjoy what each side of the city offers.